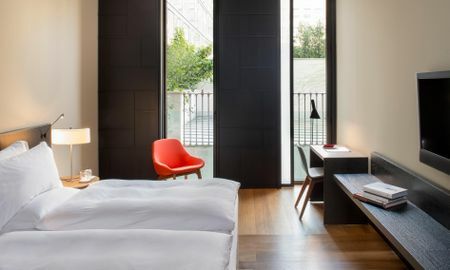 Boasting a unique personality where no detail goes unnoticed and service that goes beyond established standards, the five-star Alma Barcelona is set in an attractive building just off Barcelona’s Passeig de Gràcia. 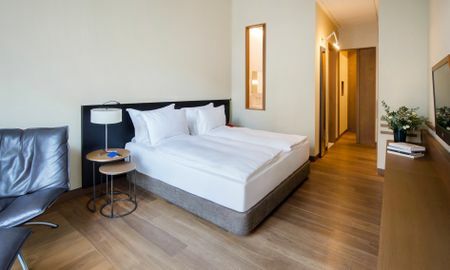 Each of the 72 modern rooms at Alma Barcelona feature leather armchairs, air-conditioning and a complimentary Wi-Fi connection. 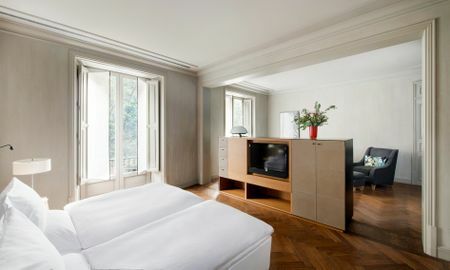 Select rooms offer a classic style, whilst others convey a luxury minimalist style. Alma Barcelona offers comfortable common areas complete with state-of-the-art technological equipment and elegant rooms ideal for special occasions, corporate events or private parties. Guests can enjoy total pampering at Alma Barcelona’s spa, which includes an indoor pool, hammam and sauna. Fitness fanatics can visit the state-of-the-art gym and a massage service is available to rejuvenate the body and mind. Ideally located in a peaceful environment in the heart of the city, Alma Barcelona Hotel is only one block away from Gaudí’s La Pedrera and a 5-minute walk from Casa Batlló. Diagonal Metro Station is a 5-minute walk, while Plaza de Catalunya is just over 1 kilometre away from Alma Barcelona Hotel. The client will have to present at the time of check-in, the physical credit card that will be used to pay, once the reservation is confirmed through the internet. In the case where the client can not present the credit card, the total amount charged will be refunded to the original credit card and the reservation will have to be paid with another credit card from the client at the time of check-in.